Three new Australian YA novels, The Red Queen by Isobelle Carmody (Penguin), Zeroes by Scott Westerfeld, Margo Lanagan and Deborah Biancotti (Allen & Unwin) and Newt’s Emerald by Garth Nix (A&U) will make appealing Christmas presents. These all have ‘fantastic’ elements. 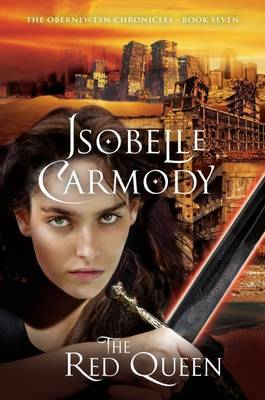 What a thrill to meet Isobelle Carmody again recently when she spoke about the final book in her incredible ‘Obernewtyn’ fantasy series, The Red Queen. Isobelle’s readers are probably the most dedicated fans of an Australian YA author I’ve come across. People engage completely with her Obernwtyn heroine, Elspeth Gordie, and share their personal stories about growing up with Elspeth. 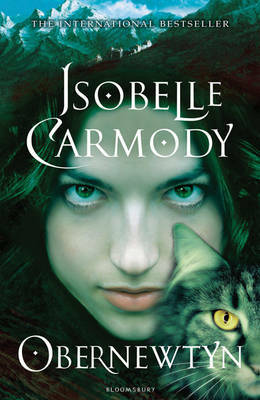 As many know, Isobelle started writing the first book, Obernewtyn, when she was fourteen years old and it was published in 1987 so the series of seven books has been a long time in the making. Isobelle’s readers are relieved that, even though Elspeth Gordie’s story is now complete, Isobelle has planned other ways back into the high fantasy world of Obernewtyn. I decided to buy the first book Obernewtyn rather than The Red Queen because, even though I read it when it was published, I didn’t have a copy and thought I might savour the series again from the beginning. Of course, buy The Red Queen for Christmas if that’s where you (or someone you’re choosing gifts for) are up to, otherwise work through the series. Or delve into Isobelle’s other books. My favourites are The Gathering, Little Fur (for young readers), Metro Winds (stories for mature readers which I reviewed here) and Alyzon Whitestarr (which is inexplicably out of print). When I moderated a session with Isobelle at the Sydney Writers’ Festival about Fantasy Worlds a few years ago, the talented Scott Westerfeld was also on the panel. My particular favourites of Scott’s books are So Yesterday and the ‘Uglies’ series (which is also available in graphic novel form). He has now co-written Zeroes with the legendary Margo Lanagan and Deborah Biancotta. 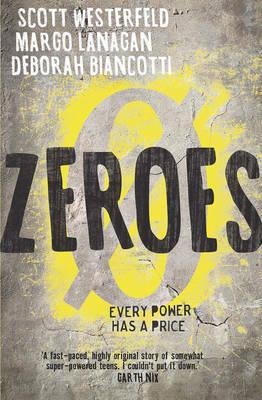 It’s an explosive whopper of a book about young people who each have a superpower. But they are ‘zeroes’ (all born in the year 2000), not ‘heroes’. It’s a perfect holiday read (and has been roaring up the NY Times YA best-sellers’ list). Which character will be your favourite – blind Flicker who can ‘see’ through the eyes of others, Chizara who can crash computer systems, Kelsie or Nate who can influence crowds, or handsome Anonymous who blends into backgrounds and is easily forgotten; but it probably won’t be Ethan with his knowing ‘extra’ voice. It’s not clear which author has written which parts but this may be revealed further into the series. Girls aged 11 (good readers) and older will be hooked by Garth Nix’s Newt’s Emerald about eighteen-year-old Lady Truthful. I can’t do better than use the book’s blurb to describe it: ‘A regency romance with a magical twist’. 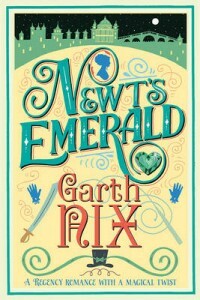 It is a change of direction for Garth Nix, who is renowned for The Old Kingdom Chronicles and Keys to the Kingdom series. Newt’s Emerald is a mystery-adventure as well as a romance, as Truthful seeks the emerald that has been stolen from her family. It’s another perfect Christmas read.